now Hardley Fire Station in Hampshire.It has no ladders and was only two ever built by Hampshire workshops as a Foam Tanker. It has a 750 gallon tank. Added by Chris on 02 January 2010. Hello Chris another photo of it has just come on this site of it its had 2 owners since i sold it now is now owned by Steve Smith in Saltburn in Cleveland. 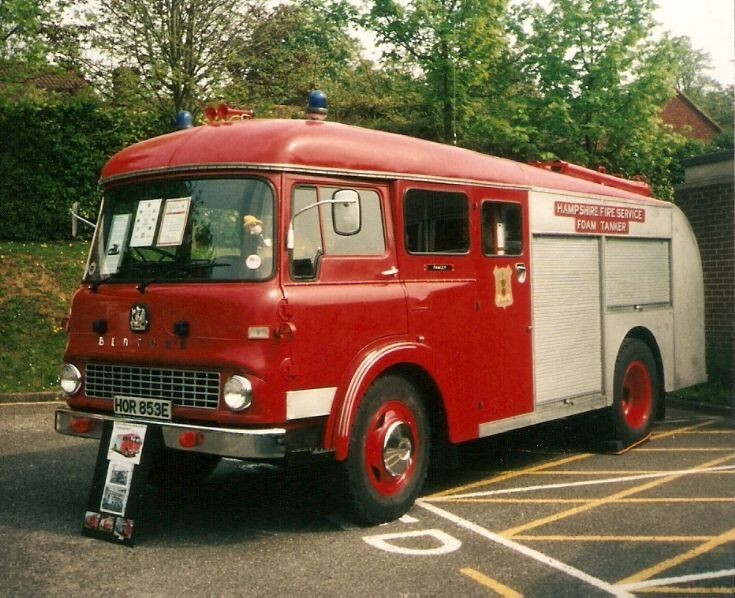 Added by MORGAN CHAPMAN on 17 February 2010.
hi Morgan, last I heard of this Bedford it was for sale and has been converted to a camper by taking the front of the tank off,but it still a fire engine on the outside. Added by Ian Mc on 17 February 2010. Hello Ian when i spoke to Steve Smith last he did say he has cut the front on the tank off the comes into the crew cab .This has a tank which holds 750 gallons where a Fire engine holds 450 gallons the inside of the tank was very rusty Steve put 110 volt electric hook up on it and made the inside of the tank into living accommodation.A friends girlfriend nick named it the Foam Camper. Added by Ian mc on 31 March 2019. Hi Ian. Sorry to be the bearer of bad news Morgan recently passed away back end of 2018. Added by Chris Smith on 10 April 2019. Added by Ian mc on 10 April 2019.